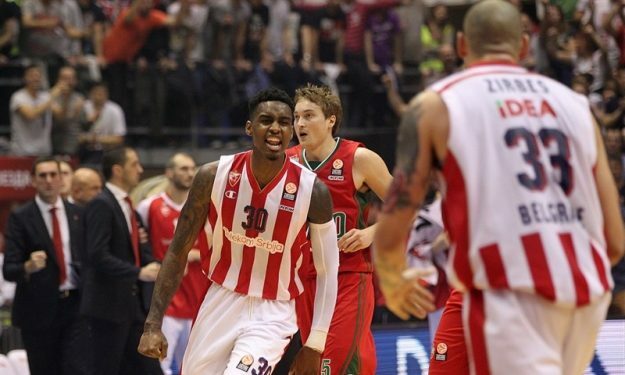 After announcing Maik Zirbes, Maccabi Tel Aviv proceeded to making the agreement with Quincy Miller official as well. As Eurohoops previously reported, Miller has signed a $2.6 million 1+1 contract with an NBA opt-out clause. His premiere season in Euroleague has been one of the most outstanding we have ever seen from a rookie, with the American forward averaging 14.1 points, 5.7 rebounds and 1.5 blocks per game. Apart from his indisputable scoring abilities, the adaptability of the Chicago-born player on the demands of the top level Eurolepan basketball was also extremely notable Without a doubt, another aspect of him that made an impression to Maccabi Tel Aviv.